The line waiting in the cold and rain to get into the event snaked around several times in front of the building before winding Northward along South Lafayette Boulevard. Charlie Starkman came in from Detroit. He was one of the first in line, along with a few friends that also hailed from Vancouver, British Columbia and Louisville, Kentucky. He says the midwestern mayor strikes a chord with him. Buttigieg said he knows his candidacy is different. 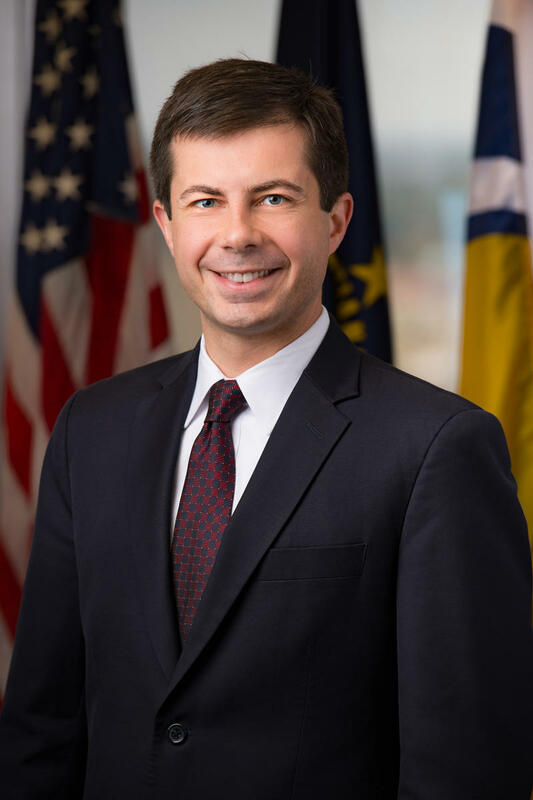 If elected Buttigieg would check the boxes on a lot of firsts; the first openly gay president, the first Mayor, and the youngest. Philip Normal is a Councillor for the London, England borough of Lambeth. He and his partner travelled to South Bend for the announcement. 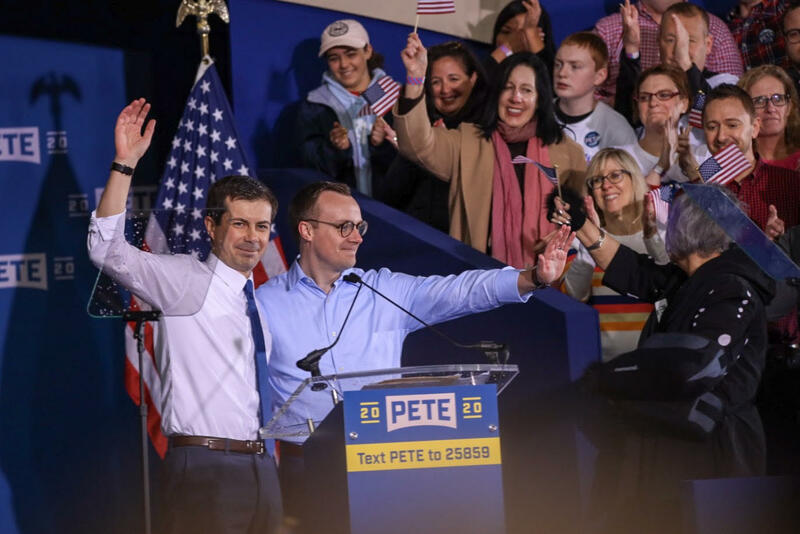 Three other mayors gave speeches before Buttigieg. One was West Sacramento, California Mayor Christopher Cabaldon. “Pete Buttigieg is the Maltese-American, left-handed, episcopalian, gay, millennial, war veteran that America didn’t know we needed,” Cabaldon rattled off to applause. In addition to those inside, more than 1,500 waited outside, where Buttigieg spoke first, before coming inside to make his announcement. Even for those who made it inside, it was still cold and wet, but Buttigieg said that doesn’t put a damper on anything. Former Starbucks Coffee CEO Howard Schultz, who’s mulling a possible 2020 presidential run, told a crowd at Purdue University Thursday he thinks America’s greatest security threat is its current leader. What was billed as a “major policy announcement” offered little in the way of solutions to the many problems Schultz enumerated. When asked what would convince Republican voters in Indiana to pull the lever for an independent, Schultz pushed back against the current administration. Public To Tipp. Co. Election Board: Change System Or "Look Like Idiots"
The Tippecanoe County Election Board has begun discussing how to improve upon the last several years of electoral dysfunction in the county. At an unusually well-attended board meeting Friday, members of the public and employees of the board of voter registration laid bare a number of issues the county faces, from long lines at polling places to aging and faulty equipment to public distrust of a flawed process.